Flush Designs: Frida Kahlo garden fiesta table top inspiration board...hold on to your sombreros! 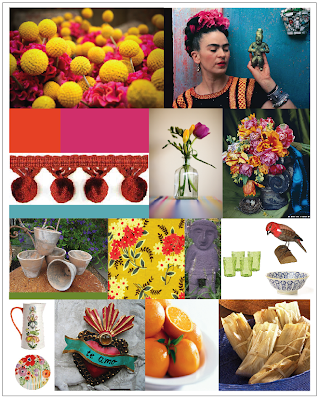 Frida Kahlo garden fiesta table top inspiration board...hold on to your sombreros! How exciting! I am particularly looking forward to this one ... can't wait to see it! Looks great, Courtney! I am excited about this one too! Ohhh Please tell me where you found the images of the little hearts? I love them. I really want them..
2009 PROMOTION!! SPREAD THE WORD! Ceremony program...a collage of our love notes!